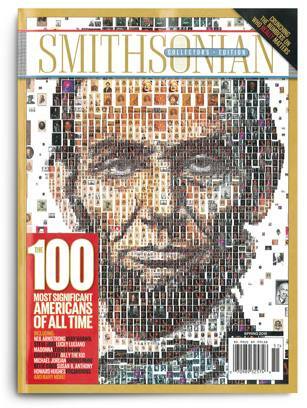 The Spring 2015 Collector’s Edition of Smithsonian magazine features Scientology Founder L. Ron Hubbard as one of the 100 most significant Americans of all time. Smithsonian also named Mr. Hubbard among the 10 most influential religious figures in American history, citing his landmark work Dianetics: The Modern Science of Mental Health and the subsequent founding of the Scientology religion. The 26th annual “Say No to Drugs Holiday Classic Race” in December in Clearwater, Florida, drew a record number of participants, with over 2,500 registered runners. The race is organized by more than 200 volunteers and coordinated by the Clearwater Community Volunteers with the purpose of promoting an anti-drug message. Not to be outdone, a Los Angeles group of volunteers started up a “Say No to Drugs Holiday Classic Race” in L.A. in 2001. Thousands of runners participate annually, contributing to drug education efforts by distributing Truth About Drugs booklets and supporting the Foundation for a Drug-Free World, Community Alliances for Drug-Free Youth and other drug prevention groups. Concern for sustainable energy solutions and improving the environment is becoming of increasing interest to the business community. 2014 saw a record $19.4 billion invested in offshore wind projects. Solar energy was the biggest single contributor. Global investment into clean energy overall was $310 billion last year, up 16 percent and more than five times the figure of 2004. The U.S. boosted its investment 8 percent to $51.8 billion. According to the Energy Information Administration, even with the increase in solar power generation, it is projected to make up only 0.6 percent of total U.S. electricity generation in 2015. In 2014, at least six U.S. states opted out of, or moved to modify, the Common Core state educational standards, and other state legislatures are debating similar moves to sidestep the initiative, which critics say the federal government foisted on cash-strapped state education departments. In August last year, Louisiana Governor Bobby Jindal filed a lawsuit against the U.S. Department of Education and Secretary of Education Arne Duncan, accusing them of illegally using federal grant money and regulations to force states to adopt Common Core. In January 2015, legislation to curb Common Core was introduced in at least two states. State Rep. Thomas Kerr presented a bill to the Kentucky legislature that would prohibit the implementation of Common Core standards in that state. In New Hampshire, State Rep. Rick Ladd introduced House Bill 276, that would allow school districts to opt out of Common Core. UNICEF’s State of the World’s Children 2015 report found that too many children are excluded from the progress of the past 25 years. For example, nearly 9 in 10 children from the wealthiest households in the world’s least developed countries attend primary school, compared to only 6 in 10 from the poorest households. The report calls for “brave and fresh thinking” to address the situation. A new policy took effect on January 1 to publish the clinical reports that underpin decision-making on medicines. The policy, unanimously adopted in October 2014 by the European Medicines Agency, applies to clinical reports contained in all applications for marketing authorization. A similar trend for more transparency in clinical trials is emerging in the U.S. Last November the Department of Health and Human Services issued a notice of proposed regulations that will expand the scope of reporting requirements for clinical trials—even unapproved, unlicensed and uncleared products would need to report summary results. In January, the U.N. World Program for Human Rights Education launched its third phase, focused on the role of journalists in the promotion and protection of human rights. “Human rights education is much more than a lesson in schools or a theme for a day; it is a process to equip people with the tools they need to live lives of security and dignity,” said Kofi Annan, U.N. secretary general, when the program was launched in 2004. Phase two, a decade-long focus on the training of educators, civil servants, law enforcement and military personnel, was wrapped in December 2014. Global Internet freedom has declined for a fourth consecutive year, according to Freedom on the Net 2014, an annual assessment of Internet user rights conducted by research and advocacy group Freedom House. Users in 36 of the 65 countries assessed in the report had fewer rights online last year, with “a growing number of countries introducing online censorship and monitoring practices that are simultaneously more aggressive and more sophisticated in their targeting of individual users.” The report found that governments are taking an increasingly bold approach to Internet control, openly and rapidly adopting new laws that legitimize censorship and effectively criminalize online dissent. It also reported an increase in the number of people detained or prosecuted for their digital activities. Syria was found to be the most dangerous country for citizen journalists, with dozens killed in the past year. Seventy-five percent of Millennials believe businesses are too fixated on their own agendas and not focused enough on helping to improve society, according to the 2015 Deloitte Millennial survey, which looked at how tomorrow’s leaders view business and its impact on society. Participants in the study were born after 1982, hold a college or university degree, are employed fulltime and work in private-sector organizations. The study polled 7,800 Millennials in 29 countries. Six in 10 said a “sense of purpose” was part of the reason they chose to work for their employers. That number was even higher among the subset of reporting the highest use of social media, nearly eight in 10. While recognizing that businesses exist to make money, Millennials also expect them to have a positive impact on society.